This last show in our summer series of unheard voices of 2018 is all about environmental justice. 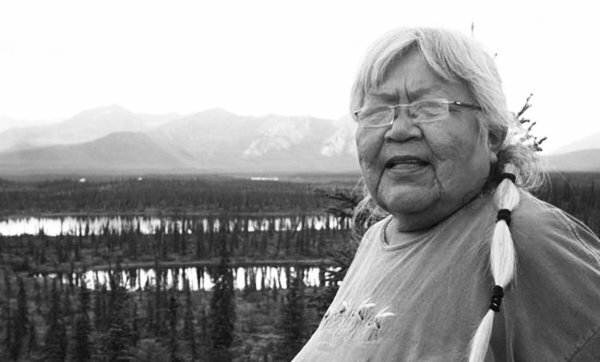 First, an exclusive interview with the elder Sarah James of the Gwich’in people of Alaska and Canada. She speaks about the Trump plan, approved by Congress in the massive tax cut bill, to open up the pristine Arctic National Wildlife Refuge or ANWR to oil exploration and drilling. This June, people from all over the United States came to DC and testified at the Bureau of Land Management, which is on an abbreviated timeline to rush the process of possibly drilling in ANWR, one of the few remaining unspoiled spaces for wildlife on the planet. Plus, youth voices from Standing Rock. VOICES: Sarah James of the Gwich’in people; Subhankar Banerjee, Lannan Chair and Professor of Art and Ecology, University of New Mexico (New Mexico, USA); Michele Roberts of the Environmental Justice Health Alliance, Lena Moffett of the Sierra Club. And many more.